We were greeted by Jenny and she told us the story about Great Bao (interesting story, not just what you read on their website). They have a $10 special of any order of three bao and a drink... I of course got that! I made a mistake again thinking that bao are the same size of siopao (a bigger Filipino version of bao). 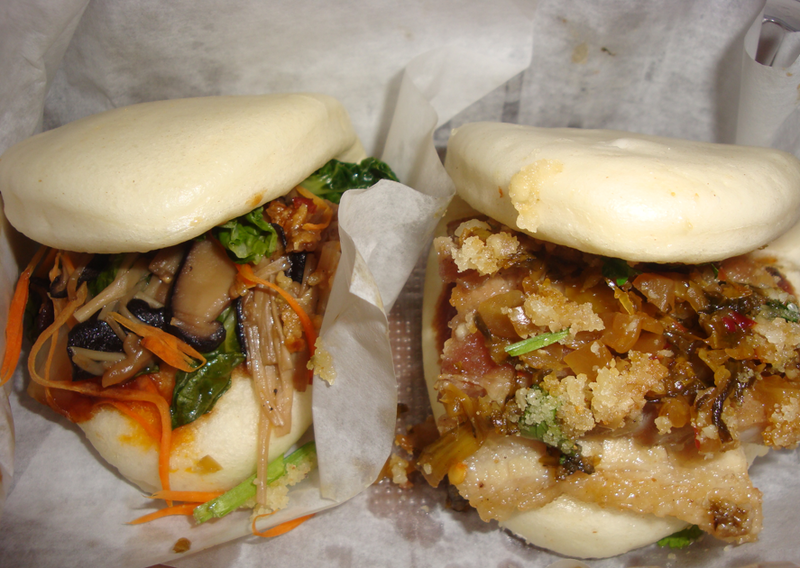 The three bao = one siopao, so I suggest coming here is you want to have a light meal! I got the Roasted Duck Bao with cucumber, scallion, and hoisin sauce and two orders of Tofu Bao. The fillings were scrumptious and the bun was soft and fluffier than a typical siopao, which was awesome! FYI: Great Bao is currently located in a spa salon, so just walk into the salon and you'll see the cafe to your left.